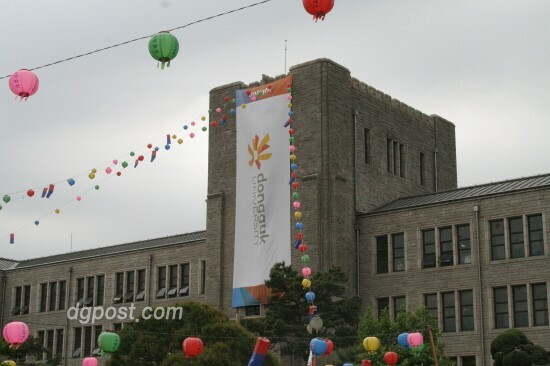 May 7th of 2008 was the 102nd anniversary of DongGuk University(DGU). There was a new University Identity mark (UI) proclamation at a ceremony at the Assembly Hall of Main Hall. UI expresses a university logo and other visual designs to illustrate genuine values and the unique characteristics of the university. 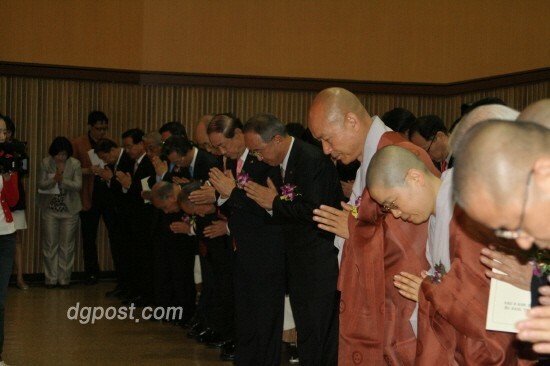 This ceremony was presided over by a MBC announcer. 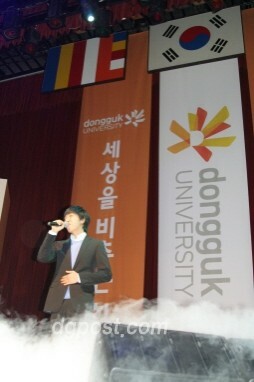 A singer, Lee Seung-gi and OPUS, the orchestra club of DGU, performed for the celebration. UI booths were set up for promoting a new UI and gift giveaway events were at the front entrance of the Main Hall, DongGuk Hall and the New Library. The UI proclamation was completed successfully with a lot of trustees, professors and students as well as the chief director and the president taking part in the ceremony. 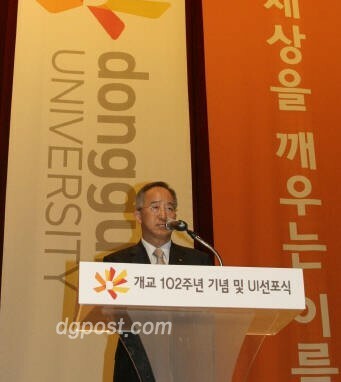 Oh Young-kyo, the president of DongGuk University, said, "We are sure that DGU is going into orbit of change and leap." 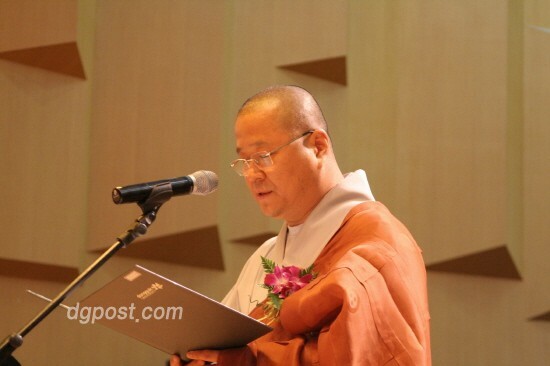 Emphasizing the efforts of its members, he added, "Change begins with each person's self-reflection and it is a power that steadily encourages to make their members follow." New UI has a slogan, 'enlighten'. It has symbolic meaning that lightens up the world and makes people realrize the world. DGU said, "To change DGU's image from domestic to global, from traditional to future, from conservative to enterprising, we decided to change our UI. New UI had been created through 1 year's work and discussion." 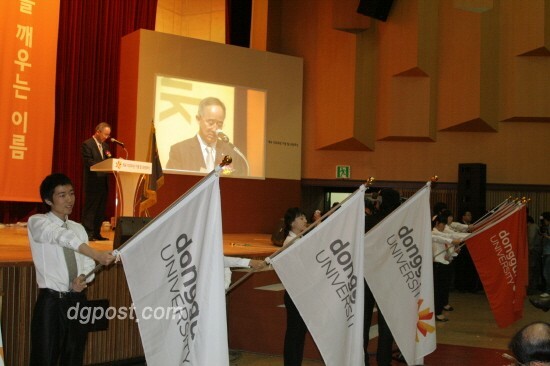 It is possible to expect a bright future for DGU as new UI was proclaimed at the 102nd anniversary.